Home / Stock Picks / Dividend Stocks / Are These 7 Dividend Aristocrats ETFs Fit for a King? Many folks infer an element of royalty when they hear the word “aristocrat.” While the U.S. is a democracy, not a monarchy, there are plenty of ways for dividend investors to become aristocratic in their own right. Several exchange-traded funds (ETFs) track indices that are known as dividend aristocrats indices. The alluring thing about dividend aristocrats ETFs is that these funds emphasize dividend growth, not yield. High yields, while seductive, have some drawbacks investors should consider. Dividend growth can be a sign that a company has a sound balance sheet and the capacity to continue delivering steady payout increases whereas some high-yield companies could be in financial distress and close to cutting their payout. 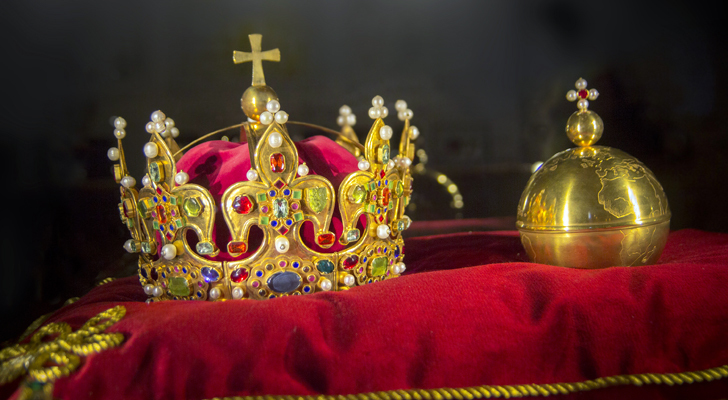 For investors looking to put the potency of dividend growth to work in their portfolios, here are some of the most royal names among dividend aristocrats ETFs. The SPDR S&P Dividend ETF (NYSEARCA:SDY) is the original dividend aristocrats ETF and one of the largest U.S. dividend ETFs of any variety. SDY follows the S&P High Yield Dividend Aristocrats Index, which mandates that member firms have minimum dividend increase streaks of 20 years. “Due to the index screen for 20 years of consecutively raising dividends, stocks included in the Index have both capital growth and dividend income characteristics, as opposed to stocks that are pure yield,” according to State Street. While SDY’s index implies it is a high-yield benchmark, the fund’s dividend yield of 2.55% is not alarmingly high and implies plenty of room for continued dividend growth. Likewise, this dividend aristocrats ETFs is not excessively allocated to high-yield sectors as utilities and real estate stocks combine for less 17% of the fund’s weight. The ProShares S&P 500 Dividend Aristocrats ETF (CBOE:NOBL) is the ETF that tracks the S&P 500 Dividend Aristocrats Index, also known as THE dividend aristocrats index. That index requires member firms to have boosted payouts for at least 25 consecutive years. A benefit of dividend aristocrats ETFs that should not be overlooked is reduced volatility. Both NOBL and SDY have less volatile than the S&P 500 over the past three years. Additionally, dividend aristocrats ETFs can expose investors to reduced downside when stocks decline. While the S&P 500 slumped 4.60% last year, NOBL was lower by just 3.30%. While NOBL is not the most adventurous fund on the market, this dividend aristocrats ETF makes a lot of sense for younger investors that can reinvest dividends. Over the past three years, NOBL is up 43% with dividends reinvested compared to 34.30% without reinvested dividends. Often overlooked in the dividend aristocrats ETF conversation, the SPDR S&P Global Dividend ETF (NYSEARCA:WDIV) can be seen as the global complement to the aforementioned SDY. WDIV follows the Global Dividend Aristocrats Index, which mandates a minimum dividend increase streak of at least a decade. That index “includes the top 100 qualified stocks with the highest indicated dividend yield, with no more than 20 stocks selected from each country and 35 stocks from each GICs sector,” according to State Street. WDIV, which yields 4.16%, provides exposure to almost 20 countries, the bulk of which are developed markets. Canada and the U.S. combine for over 42% of this dividend aristocrats ETF’s geographic exposure. The epitome of an overlooked asset class, mid-cap stocks are also overlooked when it comes to dividends, but that should not be the case. There are several dedicated mid-cap dividend funds, but the ProShares S&P MidCap 400 Dividend Aristocrats ETF (CBOE:REGL) is the dividend aristocrats ETF in that group. REGL follows the S&P MidCap 400 Dividend Aristocrats Index, a derivative of the S&P MidCap 400 Index. This dividend aristocrats ETF requires its components to have minimum dividend increase streaks of 15 years. That is a stringent requirement for small stocks and as such, REGL has a smaller roster of just 49 holdings. Like its large-cap brother NOBL, REGL can help investors weather market storms. Last year, this dividend aristocrats ETF lost just 3.30% while the S&P MidCap 400 plunged 11.30%. REGL allocates over 45% of its combined weight to financial services and industrial stocks. In the strictest sense of being a dividend aristocrats ETF, the ProShares MSCI Europe Dividend Growers ETF (CBOE:EUDV) is not one of those funds simply because the ETF does not track a dividend aristocrats index. Overlook that technicality and investors will find a viable income-generating avenue to Europe. EUDV’s underlying index requires a minimum dividend increase streak of 10 years, which is an important trait considering plenty of European companies cut dividends during the region’s sovereign debt crisis earlier this century. Just 35 companies meet the requirements for admission into EUDV. Many Europe dividend ETFs are heavily allocated to the U.K. and Switzerland. EUDV obliges as those countries combine for over 51% of the fund’s weight. France, which saw record dividend growth in 2018, is EUDV’s second-largest geographic exposure at 11.70%. EUDV is ahead of the S&P Europe 350 Index by 400 basis points over the past year. The Invesco Dividend Achievers ETF (NASDAQ:PFM) is not a dividend aristocrats ETF, but it does offer quality exposure to domestic large-caps with dividend increase streaks of at least a decade. There is often some intersection of dividends and the value factor, but PFM does allocate over 20% of its weight to growth stocks. Eight of PFM’s top 10 holdings are members of the Dow Jones Industrial Average. With the dividend increase streak requirement of 10 years, PFM is heavy on sectors found in traditional dividend aristocrats ETFs, including consumer staples and industrials. The rub with PFM is its high fee. A slew of dividend growth strategies, including dividend aristocrats ETFs, can be had with much lower expense ratios. The Vanguard International Dividend Appreciation ETF (NASDAQ:VIGI) is not a true dividend aristocrats ETF, but as the international answer to the popular Vanguard Dividend Appreciation ETF (NYSEARCA:VIG), VIGI does provide exposure to stocks with penchants for steadily boosting payouts. Keeping with Vanguard’s tradition of low-cost leadership, VIGI is one of the most cost-effective international dividend strategies on the market today. VIGI is a blend of developed and emerging markets dividend payers, so a relevant comparison is the MSCI All-Country ex-US Index, a benchmark the Vanguard fund has trailed over the past three years. However, over the past years, VIGI is beating that benchmark with a little less volatility. VIGI holds 357 stocks with a median market capitalization of $41.4 billion. India is the fund’s largest emerging market weight at 14.1% while France and the U.K. combine for 23.6%. Article printed from InvestorPlace Media, https://investorplace.com/2019/02/are-these-7-dividend-aristocrats-etfs-fit-for-a-king/.